Provide your students the unique opportunity to see science in action! That Fish Place is proud to partner with Trout Unlimited to offer this unique program. Please visit troutintheclassroom.org for more information about the resources available to teachers and schools. Click here for step-by-step set up video instructions! $1,161.22* | Item 245730 | *Free Shipping Promotions Not Valid with Trout in the Classroom Purchases. This kit is for teachers who do not have an aquarium chiller. The Aqua Euro Chiller is a state-of-the-art aquarium cooler, incorporating the most advanced technological features in the market. These units have been designed for maximum temperature pull down with the least amount of energy draw, so they are reliable and energy efficient. Includes Fluval 406 canister filter and water treatment supplies. Designed for 55 gallon containers. $356.37* | Item 236749 | *Free Shipping Promotions Not Valid with Trout in the Classroom Purchases. 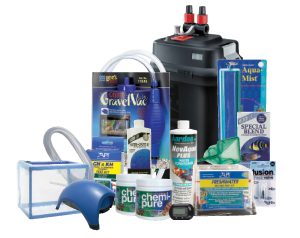 This kit is for teachers who already have an aquarium chiller. Includes Fluval 406 canister filter and water treatment supplies. Designed for 55 gallon containers. $248.28* | Item TIC | *Free Shipping Promotions Not Valid with Trout in the Classroom Purchases. This kit is for teachers who already have an aquarium chiller. 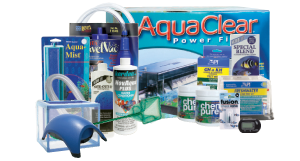 Includes AquaClear power filter and water treatment supplies. Designed for 55 gallons containers. $1,053.13* | Item 241503 | *Free Shipping Promotions Not Valid with Trout in the Classroom Purchases. This kit is for teachers who do not have an aquarium chiller. The Aqua Euro Chiller is a state-of-the-art aquarium cooler, incorporating the most advanced technological features in the market. These units have been designed for maximum temperature pull down with the least amount of energy draw, so they are reliable and energy efficient. 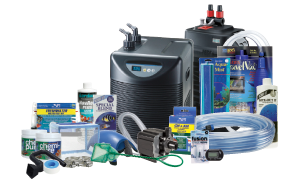 Includes AquaClear power filter and water treatment supplies. Designed for 55 gallon containers. $103.22* | Item 236750 | *Free Shipping Promotions Not Valid with Trout in the Classroom Purchases. 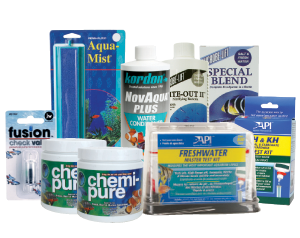 Replacement water conditioners, testing supplies, air stones and filter media for all trout in the classroom kits. *Free Shipping Promotions Not Valid with Trout in the Classroom Purchases.